Homeopathic approaches to healing have been in practice worldwide for centuries, under various names. Different cultures employ different local herbs and plants, but the purpose and intent is the same- natural healing. various plants native to different continents are used in each culture’s traditional recipes, and a lot of people gain benefit from the treatments provided by sourcing all natural substances instead of modern medicine. While the efficacy of modern medicine is undeniable, homeopathic approaches help in bypassing the side effects and adverse effects, and the occasional interactions associated with using multiple allopathic medicine regimens. These properties of natural healing can be extended to applying homeopathic treatment for support in dental surgery and dentistry as well. The entire concept of homeopathic healing is based upon the ‘law of similars’. In theory, it is somewhat like the principle we use while giving vaccines, that is, by acclimatizing our body to a mild or similar form of the disease, we strengthen our resistance and defence against the more virulent and aggressive forms of disease. And homeopathy is not the instinct driven branch it used to be. Now the ambiguity associated with formulations has been replaced by an exact science of proportions and the same combinations for each treatment approach. 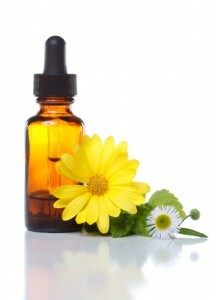 These formulations make use of plants that have very particular properties. While some of them may be overlapping and some completely the opposite, using these plants in relative proportions helps us direct the effect of each homeopathic drug, a property that makes them an invaluable addition to dental surgery as well as medical practice. Certain plant products are used in minute dilutions and titrations because of the potency of their effect. These include plants like aconite. Cis aconiticus can be used to resolve preoperational anxiety and is extremely effective in dental practice to help resolve attacks of ‘nerves’ before a procedure is scheduled to take place. Aconite is to be used sparingly and with extreme caution and wariness in all other forms because of its potential toxicity, but in homeopathic preparations it is utilized in doses that can be taken without any repercussions. Similarly, some plants can be used for their inherent anti inflammatory properties as well as antibacterial and antifungal properties, such as myristica and staphysagria. While their names may sound complicated and obscure and don’t exactly ‘roll’ off the tongue, they are used in accelerating healing. They contain plant chemicals or ‘phytochemicals’ that have been proved to also be very efficacious in minimizing pain and resolving single and multiple abscesses, which are localized collections of pus, as well as helping relieve impacted teeth and during the creation of small soft tissue flaps to treat the same, and in grafting. Again, none of these plants have a significant negative impact of their own standing, or are utilized in concentrations where they make a difference to the systemic health of the patient. But when these homeopathic medications are synthesized in the right, proportionate combinations, their additive and synergistic effect helps resolve multiple serious issues, such as draining active abscesses from the gums, increasing the clearance of the accumulated pus, having an antibacterial lysing action, and preventing formation of more abscesses in vulnerable gums. In fact a lot of homeopathic medications make use of elemental substances like magnesium, selenium, copper, iron, sodium, manganese, etc. which are naturally processed by the body because they are microminerals. Therefore, their addition to compounds helps boost normal body mechanisms to work for the better. They boost immunity and faster immune response, enzyme function, specific tissue response, etc as each mineral takes part in formation of biologically active enzymes, hormones, catalysts, complexes and multiple processes. This multifactorial approach is why homeopathic medication helps provide good support for recovery from dental surgery and medical procedures, using only plant derived, natural and beneficial ingredients.